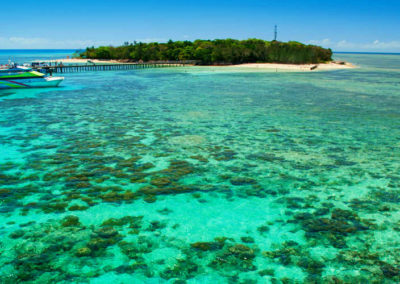 Green Island is one of the most popular islands in the Great Barrier Reef that can be accessed from Cairns. Visit the island for a full day or for a half day reef island experience! Cruises depart from the Cairns Reef Fleet Terminal at regular times throughout the day. 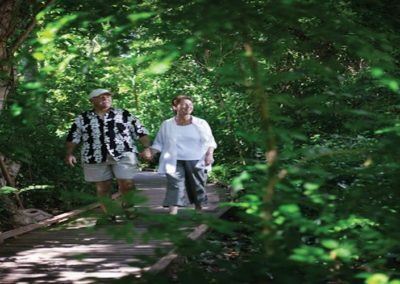 Guests on the full day tour will have up to 5 hours on the island to explore the coral reefs and rainforest walk or perhaps you could head to Marineland Melanesia to see the largest crocodile in captivity as well as the aquarium or the collection of Melanesia artefacts. The cruise will depart Green Island and return to Cairns at 5pm. Visitors will be able to choose between snorkelling gear or a glass bottom boat tour. 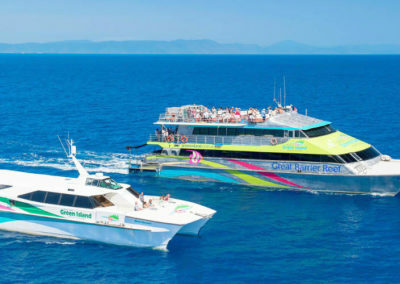 Green Island is also a perfect half day option with a fast catamaran transferring visitors to the island in 45 minutes. The half day option can be taken in a morning at 9am or as an afternoon experience departing at 1pm. 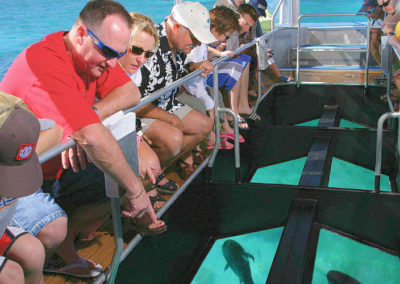 Visitors will have 2 hours free time and can choose between complimentary snorkelling gear or a glass bottom boat tour. Upgrades are available on both options to include a lunch or a semi-submersible coral viewing tour. 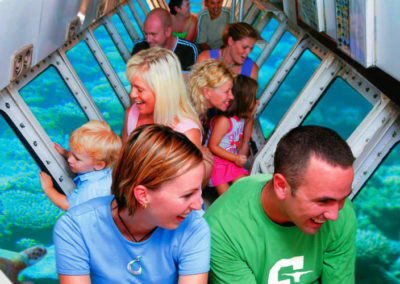 Book your Great Barrier Reef Green Island adventure online today!